Today is the feast of Our Lady of the Rosary, which is also known by the name Our Lady of Victory. 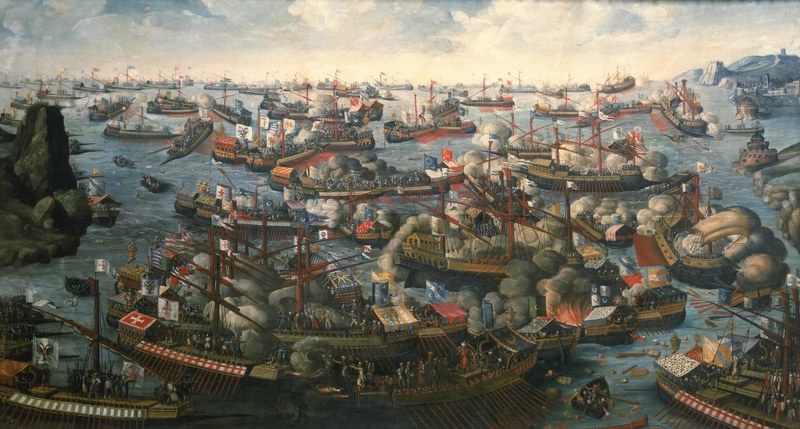 This feast is a commemoration of the naval victory at the Battle of Lepanto of Catholic forces against Muslim forces on October 7, 1576. The Pope at the time, Pius V, had asked all Catholics to pray the Rosary for success in battle and therefore instituted the feast in honor of the victory. The victory of this battle was decisive and halted the further expansion of Islamic Turks into the European side of the Mediterranean Sea. However, this battle has been over for a very long time. But there is another battle being waged right now in which we still need Mary’s prayers, and that is the battle for each of our souls.